This accessible, biblical, and thoughtful work digests years of study and teaching into bite-sized sections. 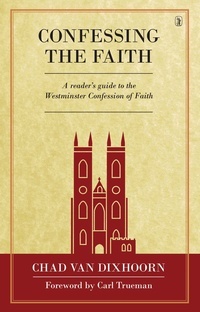 Van Dixhoorn’s Confessing the Faith is historical and practical in its focus. It deliberately presents readers with more than another survey of Reformed theology; it offers a guide to a particular text, considers its original proof-texts, and seeks to deepen our understanding of each paragraph of the Confession.